The roundness of Tai Chi forms is brought in now that the student has mastered the form in square mode/style. Not only is the form done very rounded and circular, but it’s now done at different speeds throughout; speeding up and slowing down, depending on the technique. Interested in Classes. Drop us a message here and we'll come back to you. 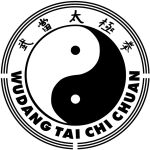 I consent to Amber Valley Tai Chi Chuan collecting my details through this form.